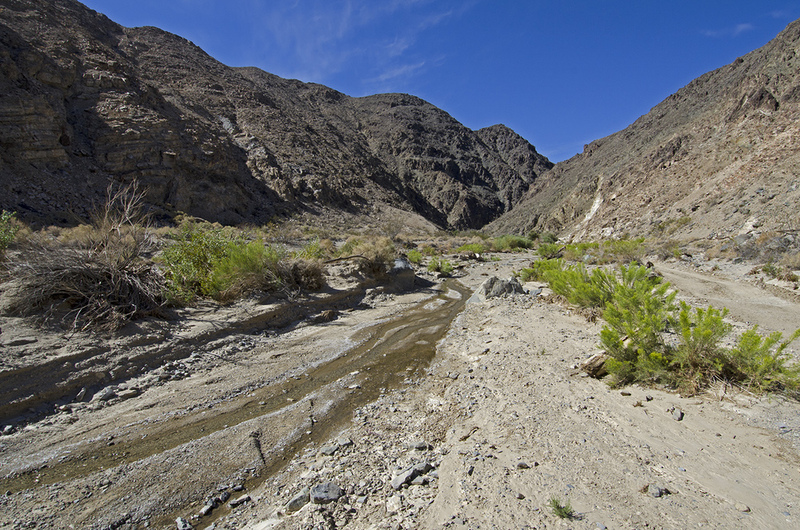 I doubt that many people think of creeks, streams, waterfalls when Death Valley is mentioned, at least I don’t. But that’s what the hike to Darwin Falls is all about. I pulled into the parking area at a backcountry board, located near the mouth of an unassuming, gravel and rock-bottom canyon that didn't give any hints about the surprise just a mile away. 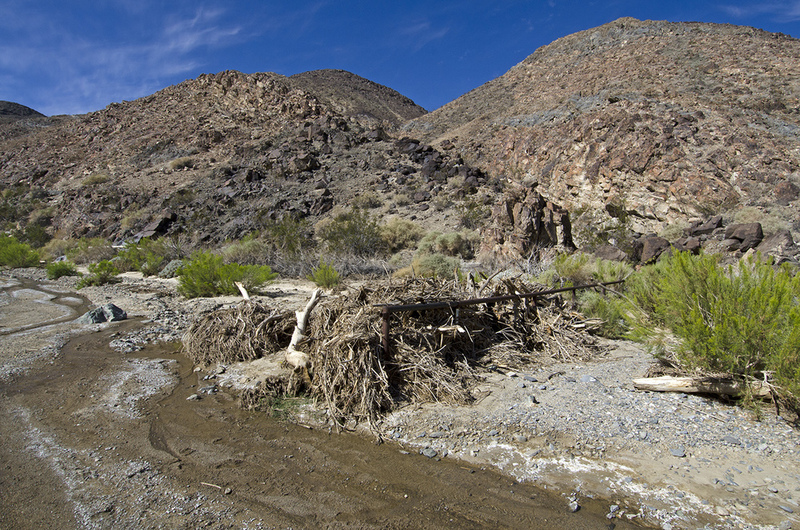 After gearing up, I hit the trail/path/dry creekbed. The first half-mile or so, it’s pretty much your typical desert/hills type of canyon. 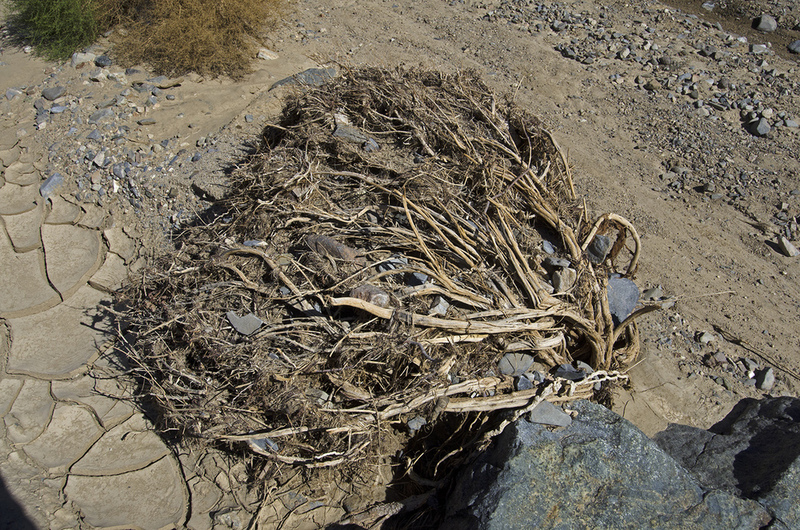 Lots of rocks, scrubbery vegetation and the like. 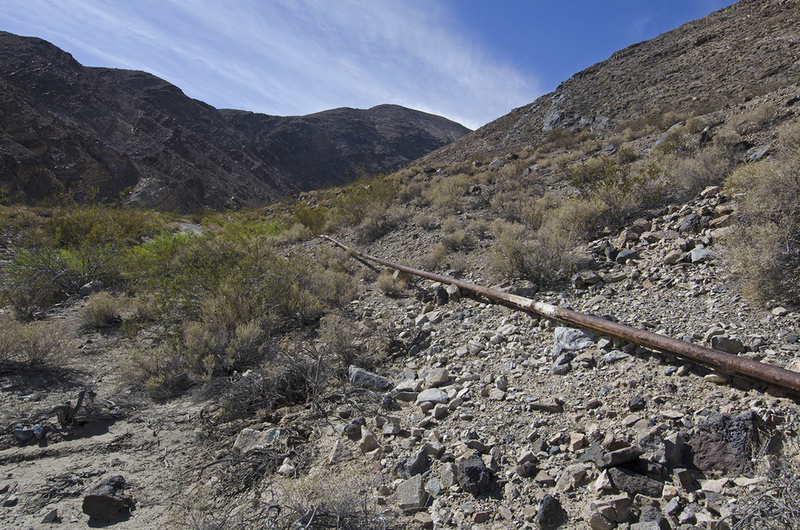 I wasn’t worried about losing the trail, I just kept following the rube goldberg-esque pipeline that sends water from the spring which feeds Darwin Falls to the Panamint Springs Resort. Part of it was iron, later it was pvc, and at times it is supported by what like seems to be whatever was handy and available at the time. But as long as it works. 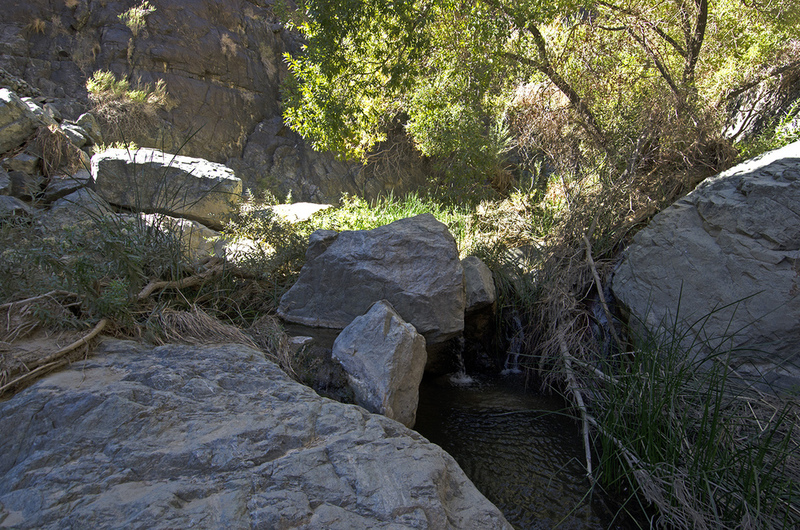 Soon after I began hiking, a small stream seemed to magically appear, which grew a bit larger the farther up-canyon I hiked. 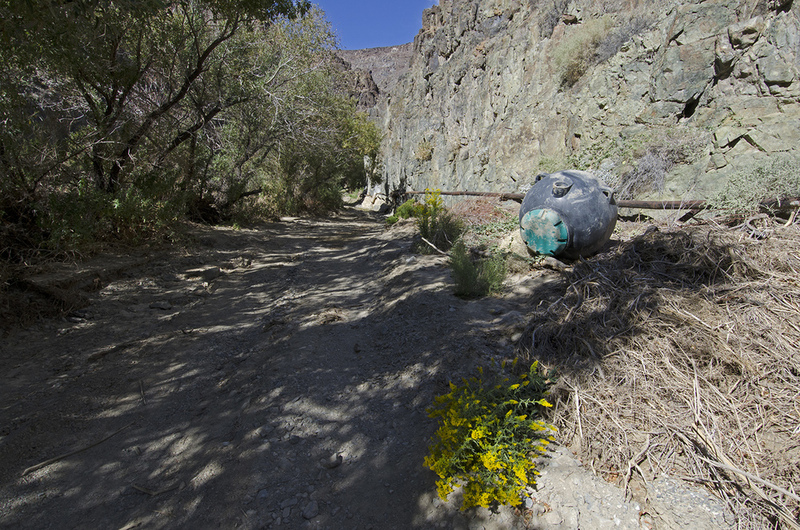 Around the two-thirds-of-a-mile mark, the canyon began to close in on me and the vegetation became quite lush. Lots of green stuff, cottonwoods and willows, it was a pretty amazing transformation. All because of water. The creek continued to grow in size and at a few points where the trail crossed the creek, it took some of my legendary agility to make it across without stepping in the water. 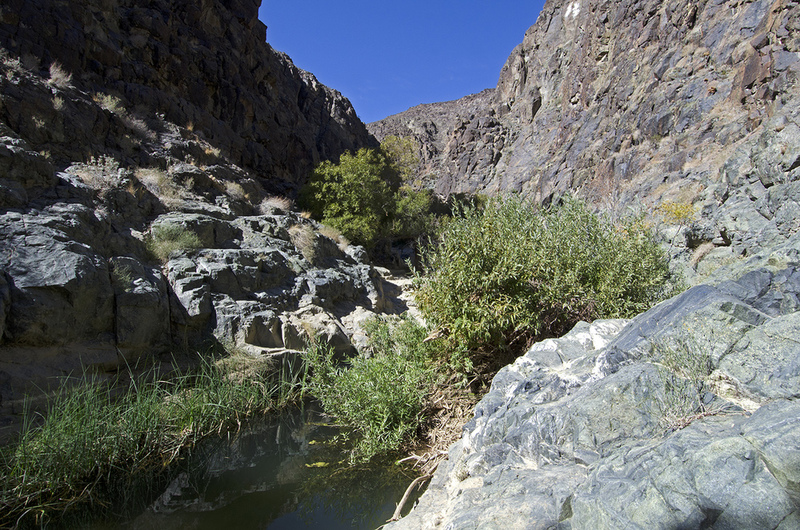 The canyon walls continued to close in and I was soon approaching the falls, I could hear them. The first little set of falls/rapids flowed over some water-worn rocks and weren’t very impressive, but I knew there was more up ahead. 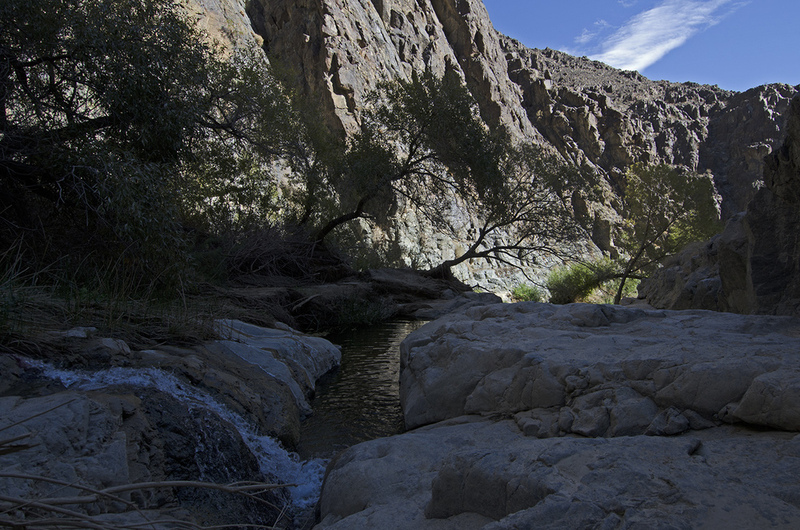 A couple more creek crossings and I had found it. It was an amazing spot. 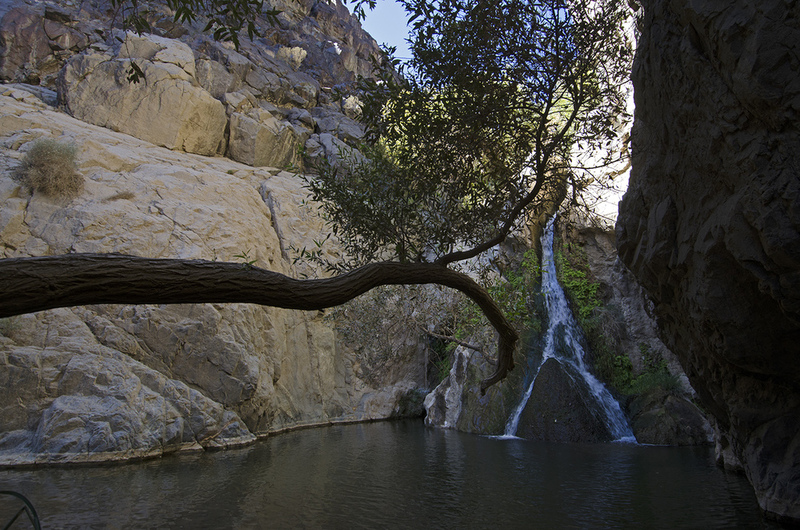 A twenty-plus-foot waterfall cascaded down the rocks and created a nice-sized, very inviting-looking pool with a “No Swimming” sign nearby. Had the weather been hotter, I probably would have ignored that sign. 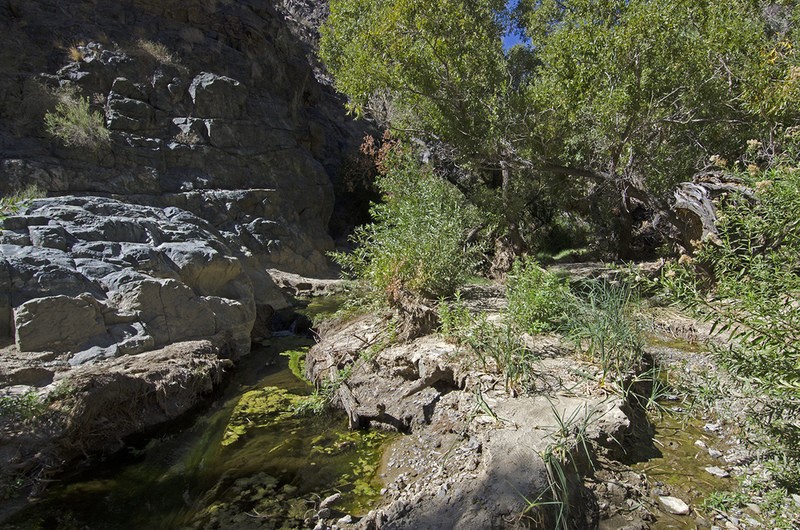 What a peaceful spot, a small oasis in the hottest, driest spot in the U.S. I never cease to be amazed at the beauty and history that can be found with a little bit of searching (and driving over rough roads and a bit of hiking). 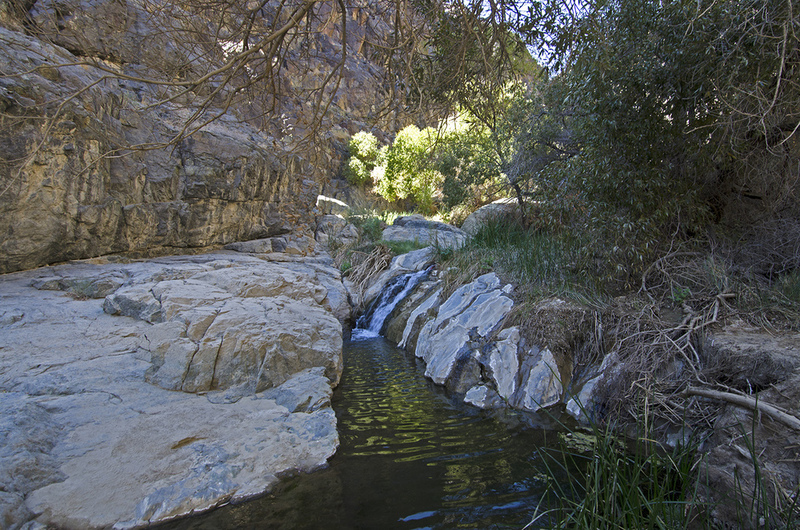 While I was there, I thought I was at the upper falls of Darwin Falls, but upon returning home and preparing this post, I’ve discovered that I was at the lower falls. 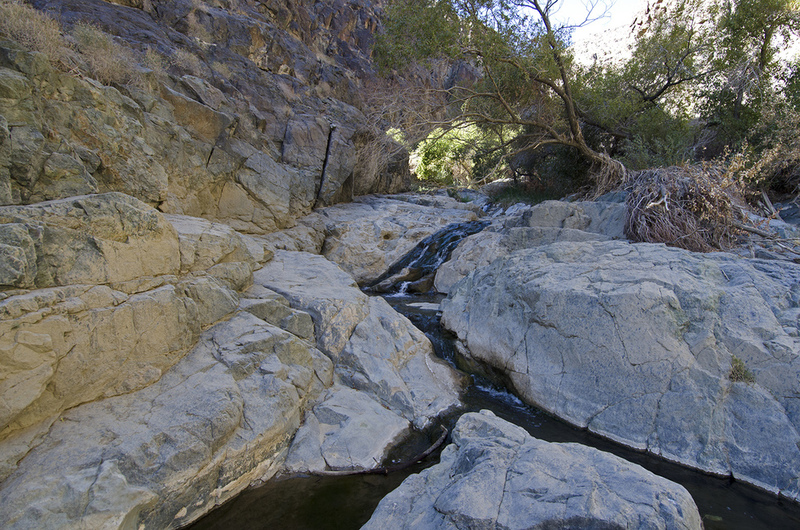 The upper falls is apparently farther up the canyon and getting to it involves a bit of scrambling. Which gives me something to find on my next trip. 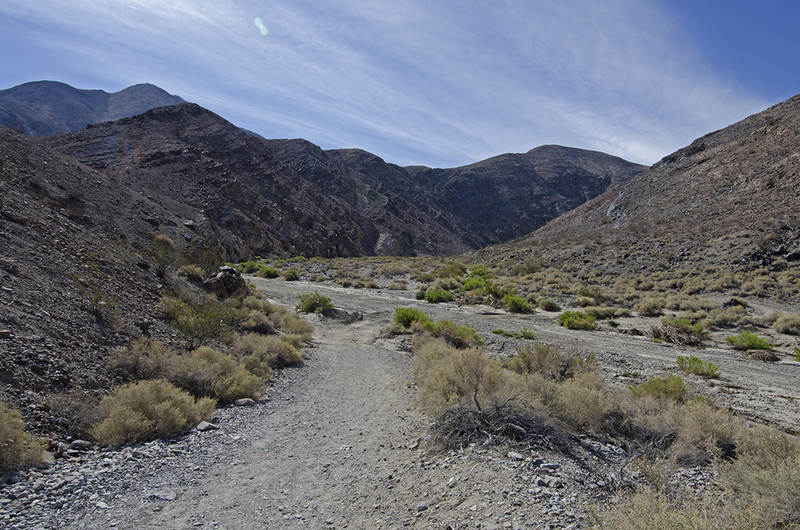 After enjoying the peace and quiet, the sound of falling water and the cool temperatures in Death Valley, I gathered up my gear and started my return trip. 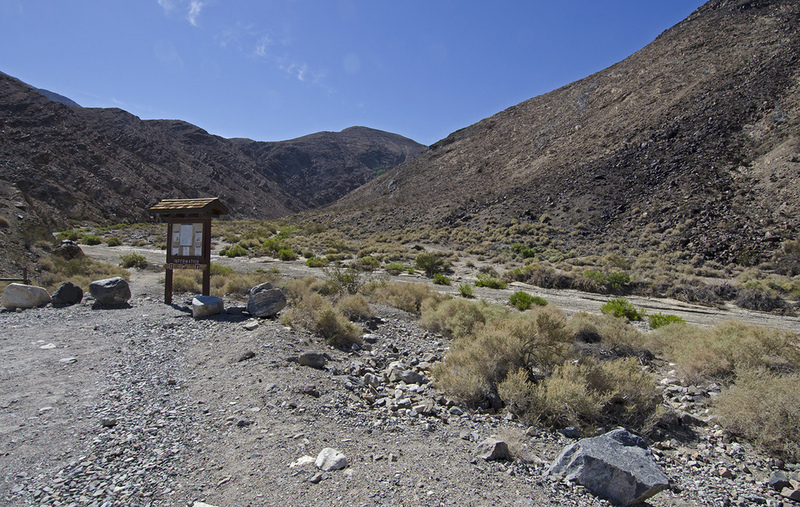 As the round trip distance is only about two miles, and the terrain isn't difficult at all, I recommend this trail to everyone. I know I'll be back to find the upper falls. And in the distance, old Blue awaits to take me on my next adventure. 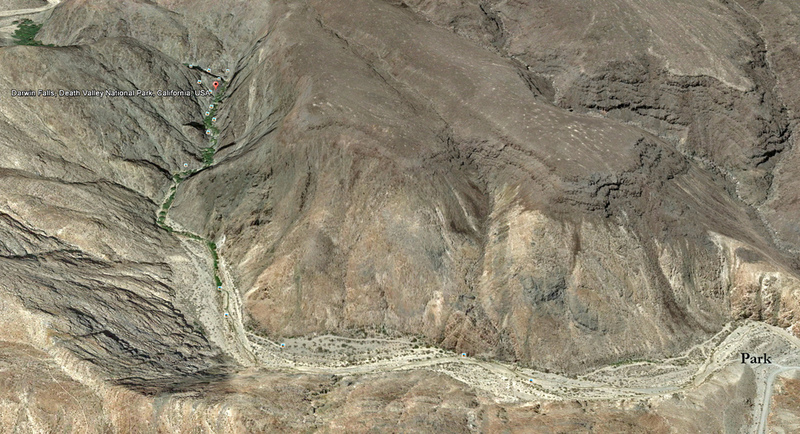 Google Earth view. There's lots of interesting places around here.